Drew Freedman is the owner and founder of Learn 2 Tape and the Boston Bodyworker. 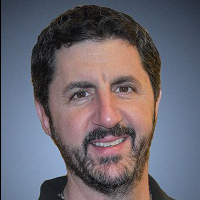 He is a Board Certified Massage Therapist and a Certified Kinesiology Taping Master Instructor (CKTMI). Drew is an approved provider with the National Board of Therapeutic Massage & Bodywork. Drew Freedman is a graduate of the University of South Florida Sports Medicine program and the Sun Coast School of Massage. He has served as an Athletic Trainer and massage therapist for several colleges and professional teams and has over 18 years of clinical and business experience. Over the tenure of Drew’s career he has successfully treated 1000’s of patients as well as groomed hundreds of MT’s for a rewarding career. Drew has been fortunate enough to has studied with some of the best educators in the industry such as Whitney Lowe, Aaron Mattes, Benny Vaughn, Erik Dalton and James Waslaski, to name a few. Drew spend many of these years not only learning from, but also working as the teaching assistant for one of the most respected educators in the industry, Whitney Lowe. Working with Whitney has provided him with valuable insights about teaching methodologies and course development. Drew is frequently asked to speak at conferences, seminars and workshops about the benefits and effects of kinesiology taping as well as being considered one of the most respected business leaders in the massage profession. He often consults with several major manufacturers of kinesiology tape providing his expert opinion and advice about how to make their product better. In spite of his hectic travel schedule, Drew still finds the time to remain in the trenches doing what he loves most of all; helping patients to “feel better”. Drew’s wealth of knowledge in both manual therapies as well as the appropriate applications of kinesiology taping to compliment that work into a manual therapy practice make him one of the most highly sought educators in our history.